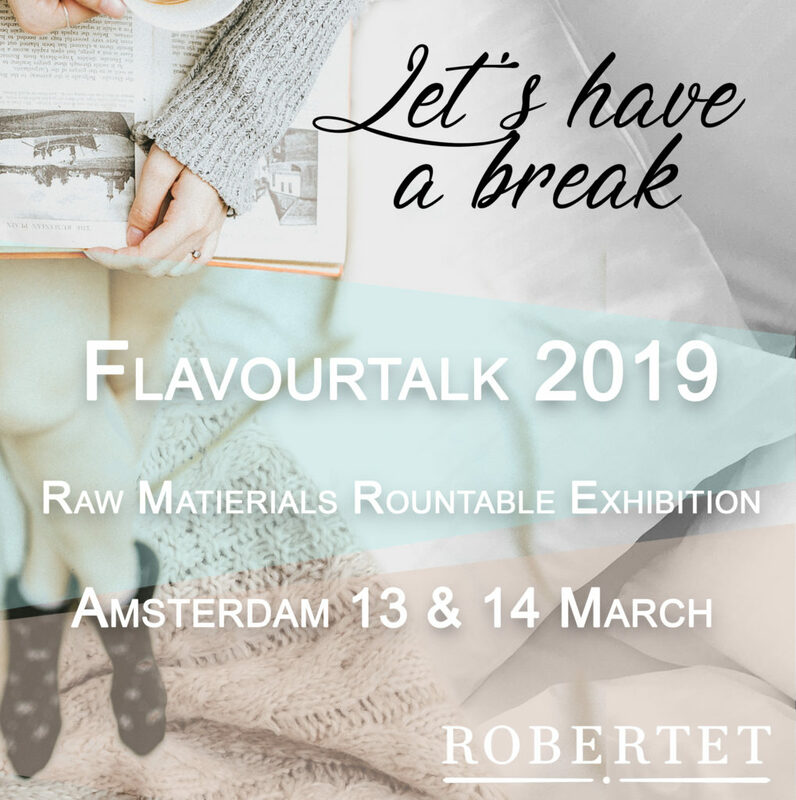 Robertet is thrilled to attend The FlavourTalk Raw Materials Exhibition next week in Amsterdam and will be pleased to welcome you. Many thanks to Flavour Horizons and the British Society of Flavourists for organising this event. Let’s join our table and… have a break with us!